A recent event explored ways in which community pharmacy in the UK can take a leading role in managing minor ailments and support the growing trend towards self-care. Led by Dr Andrew Moore, Director of Pain Research at the Nuffield Department of Anaesthetics at the University of Oxford, the one-day ideas exchange brought together a diverse group of pharmacists, pharmacy technicians, pre-registration pharmacists, pharmacy students and pharmacy practice teachers. It aimed to provide pharmacists with the tools and information they need to make personalised, evidence-based recommendations for managing aches and pains, and created a forum for all participants to actively identify ways to place community pharmacy at the forefront of pain management. Medical experts and policymakers agree: self-care can improve both the health of people and certain services within the NHS. 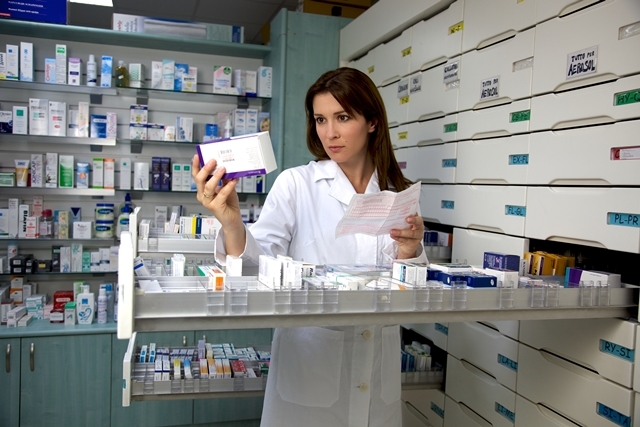 This means a greater role for pharmacists. “Around 57 million GP consultations per year are for minor ailments,” said pharmacist Fin McCaul, an Xchangeathon leader. “That costs the NHS £2 billion and takes up an hour a day for every GP. But with increasing health literacy and access to technology, consumers are becoming more ‘health smart’ and proactive toward self-care. Despite the need for increased self-care and the potential for pharmacy staff to play a key part in this self-care journey, a survey of pharmacists and related staff in the UK revealed that nearly a third felt they had insufficient knowledge around different mechanisms of action, doses or contraindications for OTC analgesics – which might hinder their ability to recommend such medicines and/or knowledgeably speak to patients about pain management. And only around half were very confident when it came to recommending OTC analgesics for back, dental, head. The Pharmacy Xchangeathon was designed to enable participants to not only understand relevant evidence for OTC pain relief but also to identify practical solutions to support evidence-based decision-making and to equip them to implement best practice when recommending first-line OTC relief. Andrew Moore kicked off the meeting by discussing why it is crucial for pharmacists to have a thorough understanding of pain. Antony Chuter, Chair of Pain UK, an alliance of charities representing people in pain, shared patient perspectives of visiting their local pharmacy with minor ailments. He outlined the simple steps that can be taken to ensure patients have confidence in the pharmacist’s ability to offer support, advice and most importantly, the most appropriate treatment. Expanding on the theme of self-care, leading pharmacists Fin McCaul and Terry Maguire discussed the evolving landscape, focusing on the NHS and online environment. The discussions suggested adaptations in order for pharmacies to work in partnership with patients to provide them with the knowledge to manage everyday minor ailments themselves thus easing the pressure on GP services.